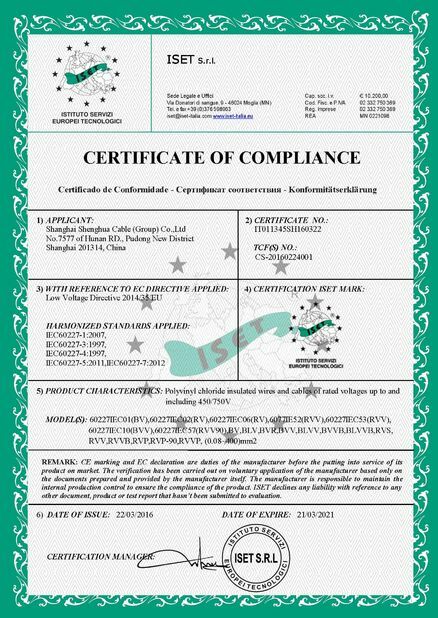 To supply power from the utilitys lines to the consumers weatherhead.For service at 600 volts or less(phase to phase) at a conductor temperature of 75oC maximum for polyethylene insulation or 90 oC maximum for crosslinked insulation. 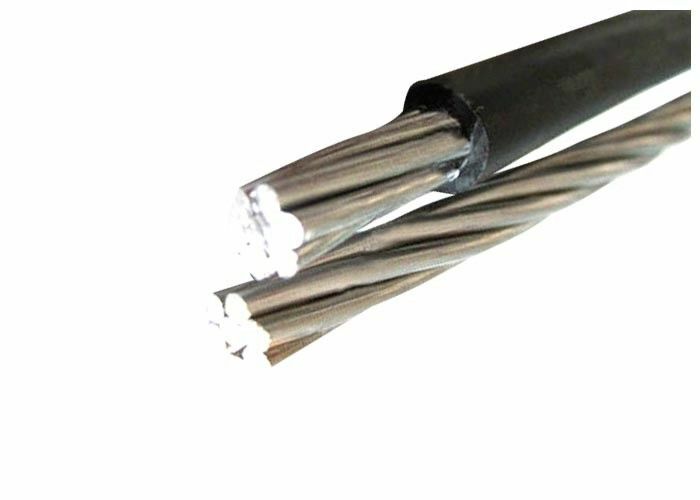 Maximum short-circuit temperature 250 degree.Service drop( ABC cables) are especially used at areas where the cost of underground networks is expensive and also for electrification of rural areas like village. 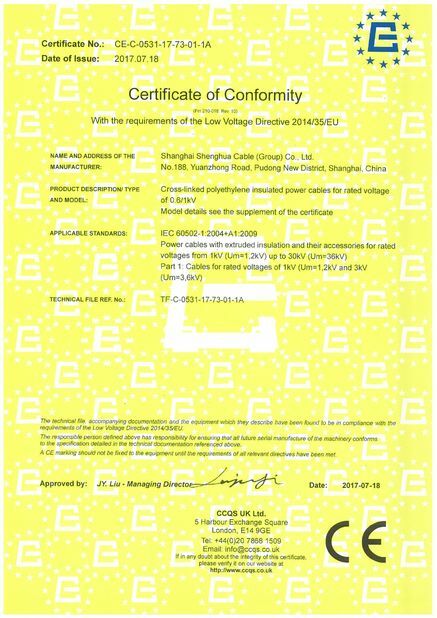 Primary used for 120 volt overhead service application such as street lighting, outdoor lighting, and temporay service for construction. To be used at voltages of 600 volts phase to phase or less and at conductor temperature not to exceed 75degee for polyethylene insulated conductor or 90 degree for crosslinked polyethylene (XLPE)insulated conductors. Used to supply power, usually from a pole-mounted transformer to the user's service head where the connections to the service entrance cable is made. 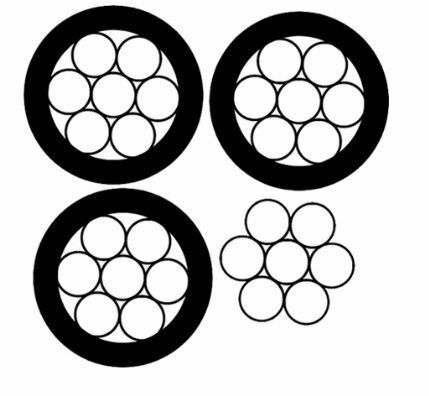 To be used at voltage of 600 volts phase to phase or less and at conductor temperature not to exceed 75degee for polyethylene insulated conductor or 90 degree for crosslinked polyethylene (XLPE)insulated conductors. Used to supply 3 phase power, usually from a pole-mounted transformer to the user's service head where the connections to the service entrance cable is made. 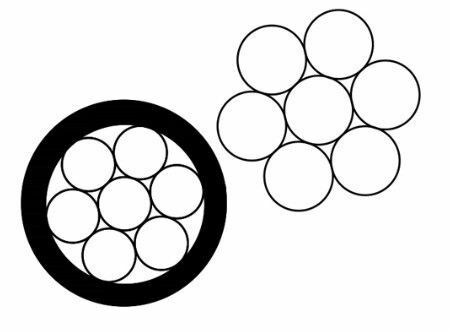 To be used at voltage of 600 volts phase to phase or less and at conductor temperature not to exceed 75degee for polyethylene insulated conductor or 90 degree for crosslinked polyethylene (XLPE)insulated conductors. Package:In coils, wooden drums, steel drums or steel-wooden drums.